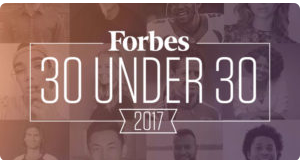 New York: Over 30 Indian-origin innovators, entrepreneurs and leaders have been featured in the 2017 edition of Forbes list of super achievers under the age of 30 who seek to break the status quo and transform the world. The Forbes list has 30 game changers in 20 industries including healthcare, manufacturing, sports and finance. 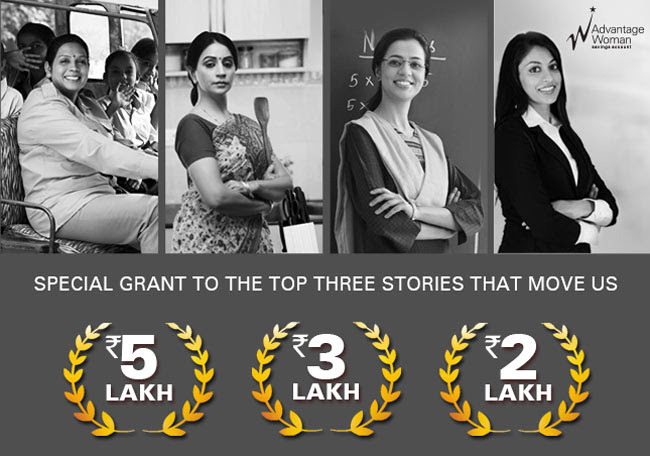 The group has over 30 men and women, who are of Indian-origin and are making a mark in their fields. The list includes 27-year-old Vivek Kopparthi, cofounder of NeoLight that has developed a phototherapy device that is portable for use at home for jaundice. The company is also working on a second tool to treat infant hypothermia. Prarthna Desai, 27, left her Harvard graduate school program to use drones to get medication to people in the developing world. In her operations role at the healthcare company Zipline, she is leading efforts to integrate the medicine- delivery-by-drone service with the healthcare system in Rwanda. Shaun Patel, 28, is the orthopedic surgery chief resident at Harvard Medical School and has dozens of scientific publications in surgery journals. His company, OrthoNinja, aims to streamline communication between doctors by creating a mobile app that allows doctors to consult with one another. Rohan Suri, 17 is the founder of Averia Health Solutions and has developed an improved concussion test. In the law and policy category is 27 year old Varun Sivaram, Acting Director: Energy Security and Climate Change in leading think tank Council on Foreign Relations. Sivaram completed his PhD at Oxford University and is on the advisory boards for Stanford’s energy and environment institutes. He is an adjunct professor at Georgetown University teaching “clean energy innovation” and previously, he advised Hillary Clinton’s campaign on energy policy. In manufacturing and industry, Neha Gupta, 28, played a role in the sale of Beats by Dre to Apple. Featured in the social entrepreneurs category is Aditya Agarwalla, 23, Cofounder of Kisan Network, The Princeton University dropout co-founded the Kisan Network, which is an online marketplace for small-scale farmers in India. In the sports category is Akshay Khanna, 29, Vice President of Strategy for American football team Philadelphia 76ers. Among the top guns in the venture capital sector is Anarghya Vardhana, 28, who joined the firm Maveron after spending a year at Rothenberg Ventures, where she launched a virtual reality accelerator and sourced and made seed investments in a dozen startups in the virtual reality space. The youngest vice president in Starwood’s history when he was promoted at the age 26, Goyal focuses on hotel acquisitions and has helped drive over $7 billion in deals. Disclaimer : We do not own and do not claim to own all the images appearing on our website/ Facebook page. The images belong to their respective owners, who have copyright over them. The images are taken from various different sources. If you feel that any image violates your copyright, please write to 911@thelogicalindian.com to have it taken down. Did you know that an Indian has already invented a method to convert hazardous plastic waste into roads? Unfortunately, his achievement has neither been appreciated nor remembered by our government. 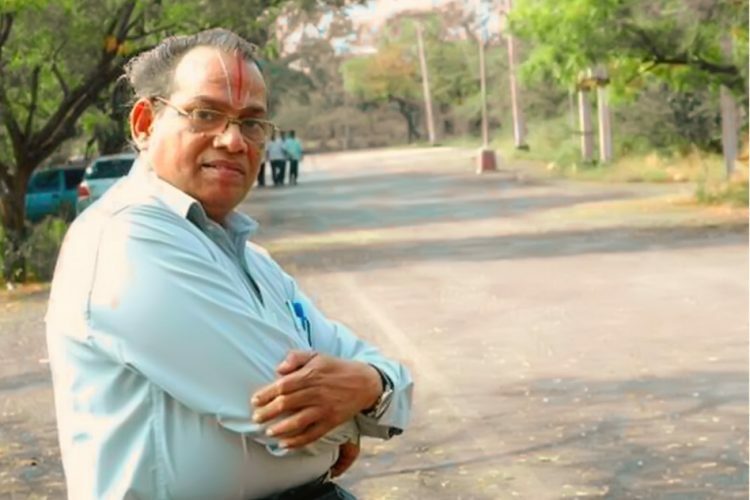 R Vasudevan, the ‘Plastic-Man’ of India is a Maduari-based chemistry professor. He came up with an innovative method to reuse plastic waste to construct better, more durable and very cost-effective roads. The roads also show greater resistance to damages caused by water during rains. 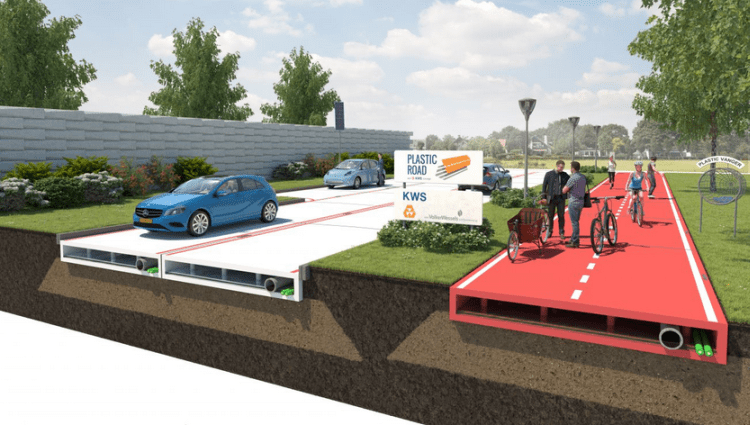 Sadly, our own country did not take him seriously, and now the Netherlands is testing his idea and constructing roads using his patented technology. The technique will involves molding of plastic waste using blue metal into pre-fabricated bricks. These bricks help to build roads quickly. This system will not only help to use up dangerous plastics for a good cause, but also allow roads to be built quickly. The plastic also provides durability to the roads as well as lightens the surface load as plastic is lighter than traditional road material. The maintenance cost will also be lower compared to asphalt roads. As per The Guardian, these roads are also hollow, making it easier to install cables and utility pipelines below the surface. Sections can be prefabricated in a factory and transported to where they are needed, reducing on-site construction, while the shorter construction time and low maintenance will mean less congestion caused by roadworks. Lighter materials can also be transported more efficiently. India needs such innovations to tackle its mounting environmental and infrastructure problems. It is surprising that no mainstream media channel has tried to highlight this novel innovation yet. Contrary to popular perception, an average Indian entrepreneur isn’t a 25-year-old who’s graduated from an Indian Institute of Technology (IIT). An average technology entrepreneur in Asia’s third-largest economy is a male aged between 28 and 29. By the time his venture gets funded, he is over 32, according to data from Delhi-based startup Xeler8. Xeler8, which curates data on other startups, analysed over 2,300 firms for this study. The sample startups operate in various sectors, including e-commerce, food technology, fintech, healthcare, agriculture technology, ad technology, data analytics, and gaming. The sample also includes large players like Flipkart, OYO Rooms, Snapdeal, and MuSigma. Almost 50% of Indian entrepreneurs are graduates, and many of them hold post graduation degrees. However, contrary to the commonly held belief, most do not hold degrees from premium educational institutes such as IITs or the Indian Institutes of Management (IIMs). In fact, graduates from premium schools form a very small percent of entrepreneurs in India. What’s more disruptive than a hybrid of cooler and air conditioner that comes at a tenth of an AC’s running cost? This means electricity consumption of only 250 Watts per hour, compared to an air conditioner that consumes 2,400 Watts per hour. So if you were paying Rs 5,000 per month (air conditioner), you will now pay around Rs 500. And wait, it’s environment-friendly too, as it is possibly the world’s only cooling product that uses the refrigeration cycle but does not emit heat in the environment. If your air conditioner breaks give Blake & Sons Heating and Air a call. This miraculous cooling technology is called Vaayu, developed by Pranav Mokshmar from Indore and has been backed by Madhya Pradesh Chief Minister Shivraj Singh Chouhan and Rajasthan Chief Minister Vasundhara Raje Scindia. After almost five years of trials and errors, patenting process and funding efforts, Vaayu began operations in October 2014. Vaayu Hybrid Chillers – a patented technology – acquired a funding of Rs 1 crore under collateral-free CGTMSE scheme of the State government of Madhya Pradesh through Corporation Bank, Indore. The startup has its manufacturing unit, constituting two plants, at Sanwer Road in Indore. The product has been tested for more than 100 units and the company is getting bulk orders from companies that care about environment and cost-saving. It has reached six States – Madhya Pradesh, Chhattisgarh, Maharashtra, Delhi, Haryana and Uttarakhand, through its appointed dealers and distributors. These dealers are selling Vaayu to retail customers. “Also, since the product is a new concept, we are opening ‘Vaayu Experience Zones’ for customers to get a feel of the Vaayu cooling. We have also appointed sales and service dealers to cater to the needs of the industrial and commercial customers,” explains Pranav. According to PortableACNerd.com, this is a game changer, based on their posts online, they are actively trying to copy them, can you blame them? Disbelief was a common reaction the founders – Pranav and Priyanka – received each time they made a presentation about Vaayu. “We were once presenting before a team of scientists and science professors and most of them said that our product defied all the laws of thermodynamics,” quips Priyanka. 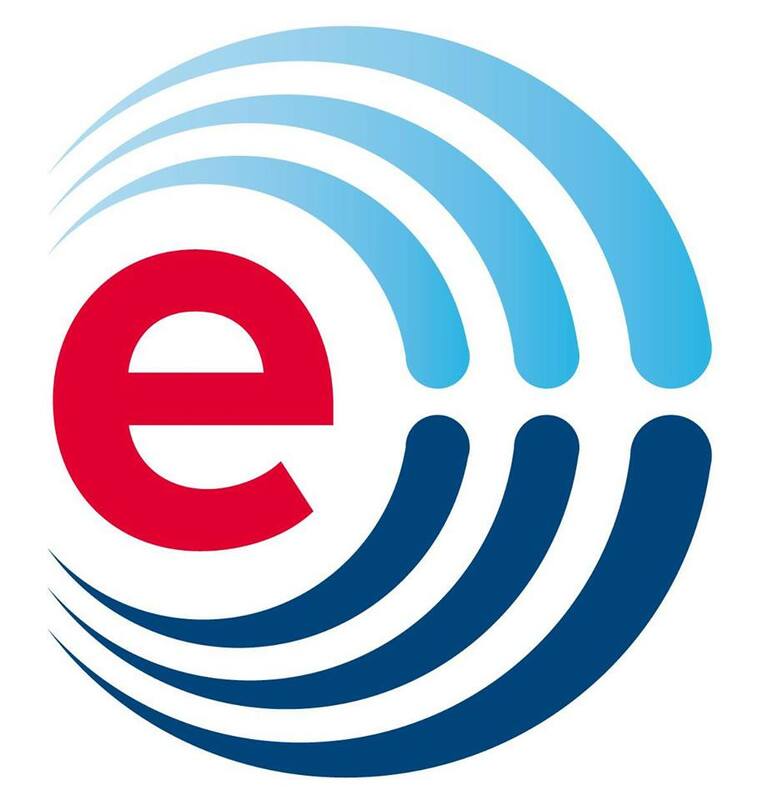 This has caused such a stir that even companies in America are bloggin about it (check Breckinridge Heating and Cooling in Louisville, KY), the AC repair Augusta GA company has made their intention to back this up clear. So how does Vaayu work exactly? “As soon as Vaayu chiller is switched on, the compressor starts and the refrigerator flows in the cooling coil to chill the water. This water reaches the pads of the machine by pumps. The hot air outside comes in contact with the chilled water and the molecules present in the hot air lose temperature. The thermostat helps to put the compressors on and off as per the need of the water temperature to be maintained and prevents overheating. The condenser cools down the refrigerant and helps in dehumidification of excess RH to control the humidity level. The chilled air is finally pushed inside the area where the unit is installed through a fan of the machine,” informs Pranav. In short, Vaayu doesn’t make you shiver like an AC but basically brings the temperature to a legitimate level and controls the humidity so that the environment becomes pleasant. Vaayu chillers look like coolers and ACs so to make them workable in terms of installation and to meet customer needs. “We have recently launched a revolutionary product, VAAYU MIG 24, which has a capacity of cooling 1,000 sq.ft., and consumes only 800 Watts,” says Pranav. The company intends on expanding to ten more States in the financial year 2016-17. “In the next five years, we plan to go pan India and also start exports, as we have received enquiries from Mexico, UAE , Africa etc. We are planning this expansion through sales returns along with expecting to get some funding through VCs,” he adds. Priyanka, Pranav’s wife, did most of her post-graduation studies after marriage. Pranav – a commerce graduate with a diploma in HVAC (heating, venting and air-conditioning) – worked as a product manager in multinational companies such as Carrier, Samsung and LG for almost 14 years. But being a technology-curious person, he started his own venture of commercial AC sales and service in 2008, and commissioned many noted projects in Madhya Pradesh. Priyanka, in the meantime, acquired an MBA in Marketing (Prestige Institute Indore) and PhD in Management (Devi Ahilya University) and apart from writing research papers, had begun giving lectures in various institutes in Indore. “Initially, Pranav’s office used to be at home, so during the summer of 2010, his father pulled him up for heavy electricity bills, since his team used ACs. So one, day he got a few components of AC and they all began working with coolers. When I asked, I was told they were trying to see if a compressor could be fitted into a cooler. I seriously thought this must be one of his whims since he loved experimenting with electronic appliances and machines. Little did I know back then that he would end up inventing a technology we would patent later,” says Priyanka. Pranav points out the importance of marketing the product. “Twice we had a choice between getting a lot of money from investors and selling out the patent. However, becoming millionaires just like that wasn’t exactly our goal,” shares Pranav. Sometimes, the couple find it hard to come to terms with the fact that they have come this far. “But then we remind ourselves of what late Dhirubhai Ambani had said, ‘Think big, think fast and think ahead. Ideas are no one’ s monopoly’,” says Priyanka. 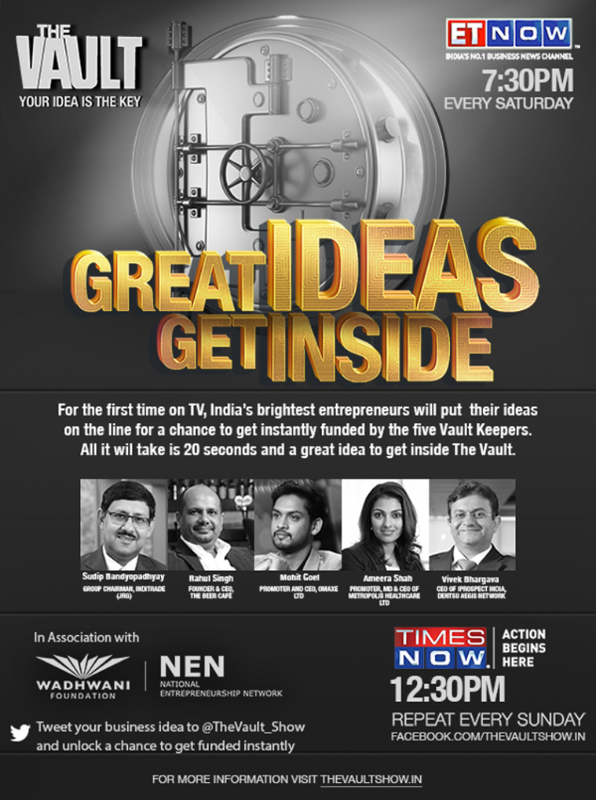 Vaayu recently won the Mega Launchpad – an event co-sponsored by YourStory Media. And their latest award is the Skoch Order of Merit and Skoch Best SME of India Award at the Constitution Club of India in Mumbai held recently. In addition, they are one of the top five startups chosen by the Government of Madhya Pradesh for the Prime Minister’s dream project ‘Start up India Stand Up India’.